NEW HOME UNDER CONSTRUCTION This Townhome is First and Second Story Block. The kitchen area which features 36" cabinets, granite countertops with large island includes all appliances to make this the perfect space for entertaining. A large powder bath on the first floor has plenty of extra wall space for storage. Upstairs is the owners suite featuring 2 walk in closets, double vanity in master bath. A loft area provides extra space for work or play and 2 other bedrooms share a second bathroom, which features double vanity and shower/tub combo. The laundry room is located upstairs as well for easy access and includes a top load washer and dryer. This townhome has a 1 car garage with 2 driveways so parking is s breeze. 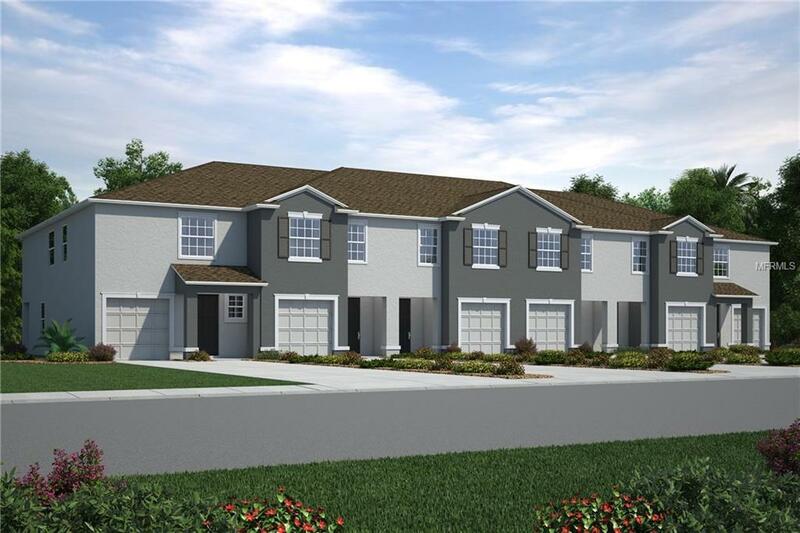 Osprey Lakes is a new, gated community located close to shopping/dining/schools and more. Close to I75, Hwy 301, Hwy 41, schools, dining shopping and much more. Pictures, photographs, colors, features, and sizes are for illustration purposes only and will vary from the homes as built. Home and community information including pricing, taxes, included features, terms, availability, and amenities are subject to change and prior sale at any time without notice or obligation.